Incorporating Mindfulness into your everyday brings untold benefits. Are you living focused on the next meeting, the next meal, the next email that needs to be responded to. Right now, are you focused on that holiday you booked six months ago and is finally arriving in the next week or two? Or are you living in the past, regretting what you have done or not done? Or are you feeling angry at how you were treated by someone or how you didn’t make it to the gym, or because you ate that second croissant when you promised yourself you would turn over a new leaf for the month? Are you attempting to get 3 documents completed, respond to 5 separate emails and take 2 calls? 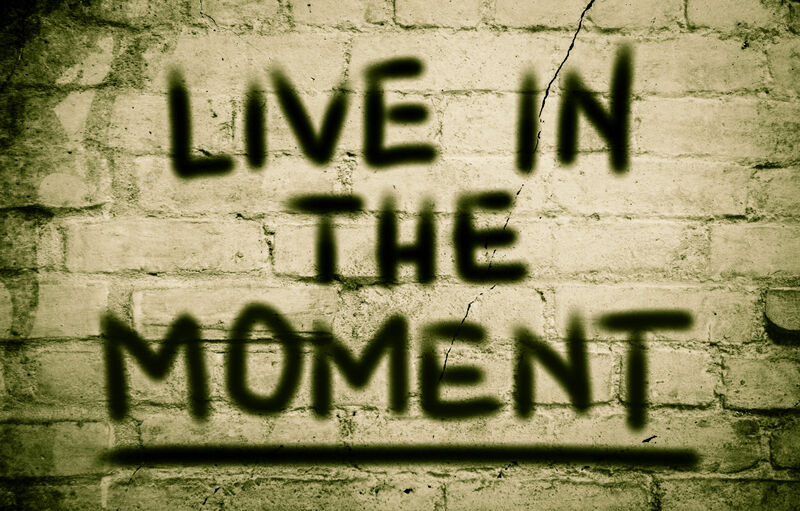 Or are you living presently and focusing in the moment? Are you using one of the oldest practices in human history? You are probably well aware that mindfulness, one of the oldest practices in human history has become one the newest ‘breakthroughs’ in managing thoughts and mental well-being in the workplace. It is more important than you might think to start taking this seriously. Research consistently shows us that Multitasking is literally the enemy of productivity. Did you know, that when you divide your attention between tasks, it takes 50% longer to accomplish a task, and you are 50% more likely to make errors? I started attempting to focus on living presently, using mindfulness and meditation a number of years ago, when approximately 20 years after being introduced to meditation and mindfulness, I finally was adult enough to start giving it a real go. The impetus was the realisation that if I didn’t focus on one thing and on the NOW, that life would pass me by and I’d have missed out on just experiencing rather than thinking about what was coming next. We have been recommending Mindfulness to our clients for years. Many of the middle and senior managers we work with insist they don’t have time to be mindful. Yet those that take it on see the benefits very quickly. They feel more focused, more calm, and in control of their emotional reactions. Can living presently help you to succeed in achieving your goals? Sometimes you hear the message; ‘Focus on the goal’ and other times you hear the conflicting message; ‘Be more mindful’. The real story is that goals can help spark our initial interest, but then we must consistently focus on the process rather than being overly focused on the end goal. Mindfulness is not an easy habit to adopt however! It involves being present in the here and now; when eating, when walking, when speaking, basically in every moment. And let me tell you, it’s a struggle. When I started this approach, I had to constantly remind myself to be in the present and to focus 100% on the conversation I was having, or the document I was working on and really just slow down to experience fully what was happening. If it is so difficult to be mindful or present in this moment, then why bother? Personally speaking, when I am being mindful, I feel more tuned in to the people I am with, the conversations we are having and the accompanying sensory information in the environment. I feel more grateful. You may be aware that there is tons of research showing that gratitude is associated with reduced depression, more positive relationships, greater competence, resilience, self-acceptance, less stress, better sleep and much more. All in all, being Mindful leads to a life that is much richer and much more enjoyable.